While many people primarily associate business pest control needs with restaurants and their health department inspections, the reality is that any type of business needs an effective pest management service. Adios Pest Control serves a wide variety of commercial clients in the San Diego area, including hospitals, hotels and motels, property management companies, manufacturers, packaging facilities, distribution outlets, malls and shopping centers, and, of course, restaurants and other food or agricultural businesses. 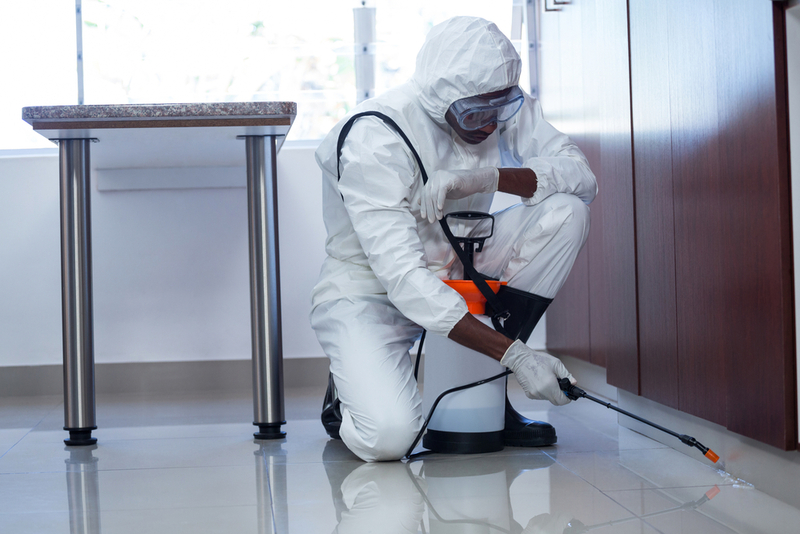 Read on to learn why our commercial pest control services we can be an asset to your business. Businesses that are subject to health inspections — including restaurants, hospitals, and others — can be issued formal health code violations if an inspector finds that pests are not being controlled properly. If the problem is serious enough, your business can be forced to close its doors. If this happens, you’ll not only lose profits during the closure — customers new and old will associate you with these violations, and regaining their business may be difficult once you re-open. Every business wants their customers to have a pleasant experience so they’ll come back. If your business has a pest control problem — even a seemingly minor one — it can ruin the entire experience and leave a bad taste in their mouth. It’s crucial to have services in place to quell these problems when — and even before — they arise. Your reputation is one of your company’s most valuable assets, so hiring a commercial pest control company makes good business sense. If customers notice a pest problem at your business, they may mention it to you, but it’s more likely that they will tell others instead. Word spreads quickly and permanently in our digital age. A customer’s online review of your business mentioning a pest control problem will damage your reputation and linger long after the pests are exterminated, as will the record of any health code citations you are issued. Regular visits from pest management professionals can help you avoid that embarrassment. When you have a pest control emergency, you can’t wait a long time to receive service. That’s why Adios Pest Control has service technicians available 24 hours a day, seven days a week. We can provide service within 24 hours of your call if necessary. Even for regular maintenance visits, most businesses don’t want exterminators treating the premises during their peak business hours. Fortunately, our wide availability means we can arrange to treat your property at a time that is convenient for your business, no matter what your regular business hours are. Pests can cause significant property damage. 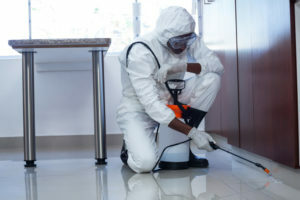 Certain types of pests may attack your inventory, some may bite or bother your staff and customers, and others can damage the building itself. Termites can eat away at the structure of a building, and mice can damage walls and ceilings, as well as potentially creating a fire hazard by chewing at electrical wiring. Regular pest control maintenance can eliminate these threats before they cause significant problems. You’re a businessperson, so you know the value of professional expertise. When you hire our commercial pest management services, you get the full benefit of our trained technicians. They can identify which pests are present, and know which are the biggest threats based on your general location and specific environment. They are able to treat your property with better products than household pesticides that are sold over the counter, and they know how to use them safely. Why wait until a pest emergency forces you to react? Regularly scheduled visits from Adios Pest Control can prevent these emergencies from happening in the first place. This gives you peace of mind and lets you focus on doing business instead of scrambling for solutions to what can become an embarrassing problem. Want to protect your business from pests? Call Adios Pest Control today or contact us online.